Commercial Air Duct Cleaning It goes without saying that breathing clean air is crucial to your health. Your body depends on oxygen to function, and when you are inhaling pollutants, you are only bringing harmful particles into your body. This is especially true for those who have airborne allergies, as breathing in air polluted with allergens will only make that worse and will make it uncomfortable for you to breathe at work. Asthmatic people can also be affected by this type of environment. The best way to combat that is to regularly get your air ducts cleaned. This is because your air ducts tend to hold onto particles of pet hair, pet dander, dust, cigarette smoke and other uncomfortable allergens and pollutants that can muck up the air you are breathing. By having air ducts cleaned, you can help improve the quality of the air inside your place of business. Chemical fumes, dust, dander and more get pulled into the HVAC system in your business and are typically circulated throughout it as often as five to seven times each day, meaning that it just continually gets moved around for you to breathe in each and every day. Another thing to consider is that cleaning out your air ducts may also save you money on your energy bills. Studies have shown that as much as 40 percent of the energy used to cool or heat or business is wasted. Having build-up in your vents only makes this worse, as it causes the system to have to work harder which, in turn, uses more energy. Even with filters installed, contaminants can still get trapped inside of the ducts. Once the system is cleaned, the heating and cooling doesn’t need to work that hard anymore to keep the house warm or cool, which is more cost effective. Another reason cleaning air ducts is good is because it can help the office furniture last longer. This is especially true for the computers in your business, as it helps reduce the amount of dust that might get into the computers and damage them. 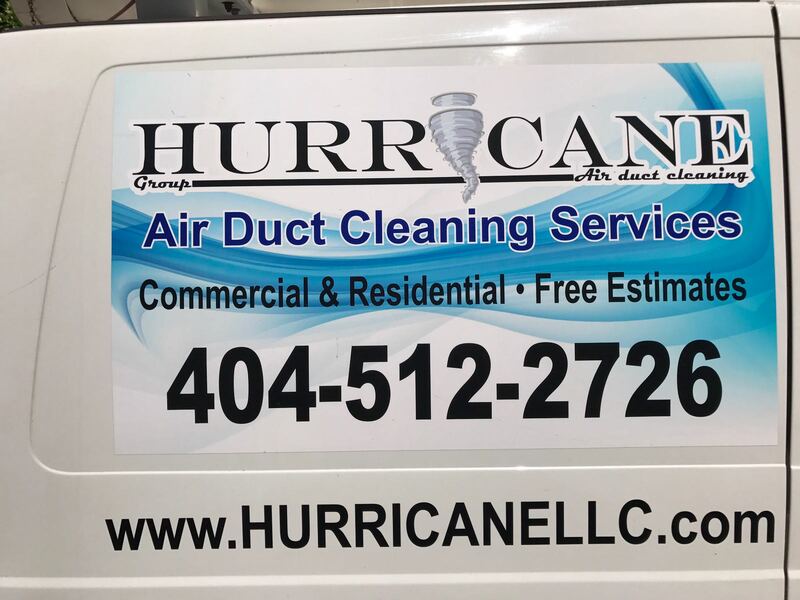 Having a business’ air ducts cleaned is worth every penny, and when you get the job done through Hurricane LLC Air Duct Cleaning, you can do so at an affordable price. Our service thoroughly cleans any air ducts in any size business using high quality, effective tools. Each job is performed by a highly trained professional that will help decontaminate your business the first time so that you, your employees and colleagues can breathe easily and enjoy a safer working environment. Our company tests the system first to see how it operates, and then the air handler unit is sanitized and thoroughly cleaned for optimal performance. The entire air duct system is then cleaned and deodorized to ensure the cleanest, freshest air possible. Each of the vent registers will be reinstalled and the system will once more be tested to ensure it operates as you’d like. Get in touch today to get started cleaning your ducts. Cleaning your air ducts is an important task that needs to be taken care of periodically and regularly. Having blocked or clogged air ducts can be detrimental to your health and to your business, period. For health reasons, it is particularly problematic for those who have allergies or suffer from asthma. This is because allergens such as pet dander, dust, cigarette smoke, chemical residue and other pollutants can get sucked in the air ducts. Most systems circulate the same air through a building anywhere between five and seven times a day, which exposes your place of business to these allergens over and over. Energy costs for buildings are an important factor, too. When an air duct is full of residue and debris, the air has to work harder to push through it to keep the building at the desired temperature. This means that since more power has to be used, more energy will be expended and that will drive up the cost of your energy bill. Since cleaning air ducts is pretty much unavoidable, the best thing you can do is start looking into getting it done. Not all cleaners are made equal, so it is important that you know what you are looking for the in an air duct cleaning service. The best thing you can do is find a company that has been around for a decent amount of time. 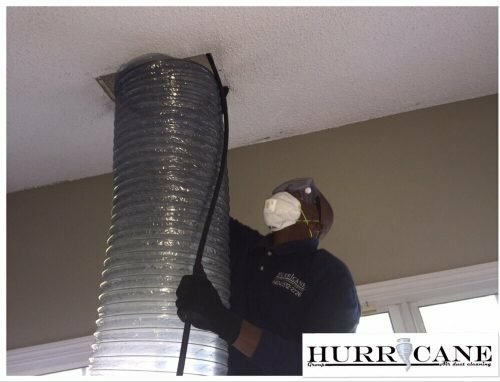 Air duct cleaning is not something easy that just anybody can do, and so working with people and companies that have a lot of experience like Hurricane LLC is crucial. Hurricane LLC employs highly trained technicians who know the ins and outs of cleaning air ducts. They will talk to you about what needs to be done, as they have the expertise to know just how to flush out any contaminants, no matter what. With a highly skilled technician comes high quality equipment. Technology is changing every day in almost every industry, and that is true for the air duct and HVAC industry as well. 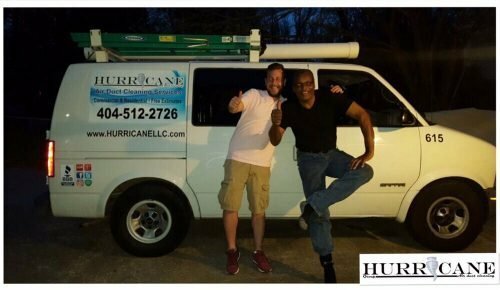 Hurricane LLC uses only the highest quality tools to get the job done, so that you can be sure it is taken care of thoroughly, effectively and correctly the first time. 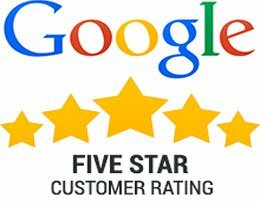 Finally, look on the website of the company you are interested in and read reviews to see what other customers think about their services. See if there have been any problems in the past and what the experience of working with them is like. Cleaning your air ducts is an important part of owning any business, so knowing where to get the best cleaning job done is important. 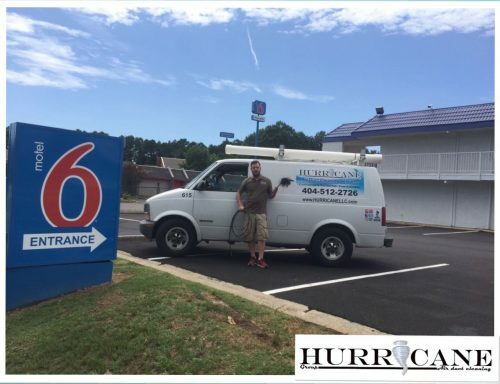 Hurricane LLC is a great company to work with when you want highly professional, skilled and knowledgeable technicians to take on the job for you. Get in touch today to get started and make an appointment. Cleaning your air ducts in your business is something that is unavoidable. There are many benefits to cleaning them out, both for health and financial reasons. When it comes to energy costs and savings, having clogged up ducts may make it harder for air conditioning or heat to move through the ducts. Because of this, it will require more energy to do so, which will naturally raise the cost of your energy bill. Health reasons are another important factor, especially if you have people working for you who have allergies or asthma, or if you yourself have them. Pollutants and allergens such as dust, pet dander, pet hair and chemical residue can get pulled into the ducts and then circulated around multiple times per day. The reason for getting ducts cleaned is clear, but many people are uncertain about doing it because they are not sure about the price. Everything that you own is an investment, just like the business you run. In order to make money and support a healthier environment, you must invest in air duct cleaning. If you work with the right business, air duct cleaning doesn’t have to be horribly expensive. You can get in touch with Hurricane LLC for your air duct cleaning, and we will come to you to give you an on-site estimate of how much you can expect to pay when working with them. In the meantime, there are ways to guess around how much you can plan to spend based on averages of other people’s duct cleaning experiences. Typically, it is safe to say that you can expect to spend a few hundred dollars, sometimes closer to $1,000 if the building is exceptionally large. It also depends on the amount of cleaning that needs to be done as well as how hard it is to access the different parts of the system, which will affect the price as well. Residential and commercial prices are also different, with residential prices costing around $20 to $30 per vent. With a commercial property, you can sometimes expect to spend anywhere between $35 and $50 per hour. If your ducts have been custom designed, it may cost more. Most businesses will have standard designs that allow access to them to be simple. If your system has been designed in a special fashion, that may make the work harder or make the different parts of the vent harder to reach, which will add to the cost due to time and labor. Sometimes, you can go by the number of vents that are present in a building to get the best idea as well. Having around eight vents can cost anywhere between $150 and $225. Ten vents tends to run around $250 to $300, while twenty vents can cost $400 to $525. Additional prices will be added on for every extra vent that is cleaned. You can’t put a price on the health of your employees, so it is important that you get your air ducts cleaned. Talk to a professional at Hurricane LLC today to set up a price estimate. When you own a business, one of the top priorities that you must consider is the health of not only yourself but also those who work in your place business location. One of the biggest contributing factors to the health of your workers is how clean the air is. If the air is contaminated, that may make it harder for them to breathe. This is true especially for those with asthma or allergies. Pollutants and allergens get circulated and recirculated through the building again and again, which can make it hard for those with pet hair, pet dander, pollen, dust or chemical allergies to breathe. Also, air duct cleaning can save you a lot of money on your energy bills. When the air ducts are clogged, it makes it more difficult for the air to get pushed through the ducts. The more power that is needed to push the air through the system, the more energy it consumes. This means an increase in how much you have to spend on your energy bills. When you reduce the amount the contaminants inside of the air ducts in your place of business, the air can move more easily through it, which will lower the energy bill. You can enjoy a more comfortable, climate-controlled place of business and an environment that is easier to breathe in as well just by cleaning out your ducts. It is important to do this regularly in order to ensure optimized cleanliness. Hurricane Air Duct and Carpet Cleaning is a business that is dedicated to cleaning your air ducts among other parts of your home. 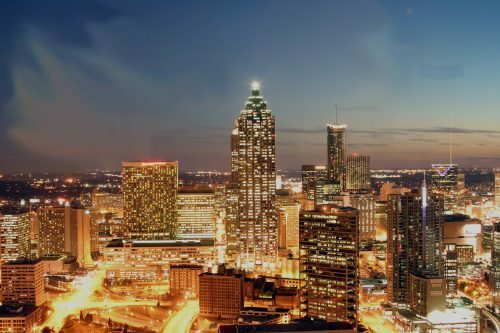 Based in Dunwoody, Georgia, this company serves a large area, including all of Atlanta and its neighboring cities. They are dedicated to bringing you a healthier and cleaner workplace, and they have been in business long enough to know exactly how to make it happen. This company strives to provide you with the best air duct cleaning services in Georgia by only employing highly trained technicians who have been performing the work long enough to know how to get the job done right the first time. Hurricane Air Duct and Carpet Cleaning service uses its own methods it has developed that have been proven to work time and time again. Only the most top-of-the-line tools are used to ensure that the most thorough cleaning results can be achieved. This company strives to provide fair pricing and keeps prices as low as possible for your commercial buildings. Taking the cleanliness of your air ducts seriously is crucial to the health of those in your building, and for that reason, it is important that corners are not cut. If you are ready to take care of the air ducts in your building, get in touch with Hurricane Air Duct and Carpet Cleaning today. Skilled professionals will come to your business and give you an on-site estimate, so that you can be sure of how much the work will cost.